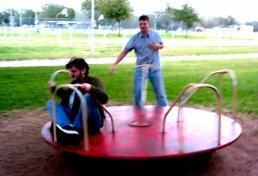 Request-A-Song.com is a musical group consisting of two brothers, Benj Edwards and Jeremy Edwards, who live in Raleigh, NC, USA. 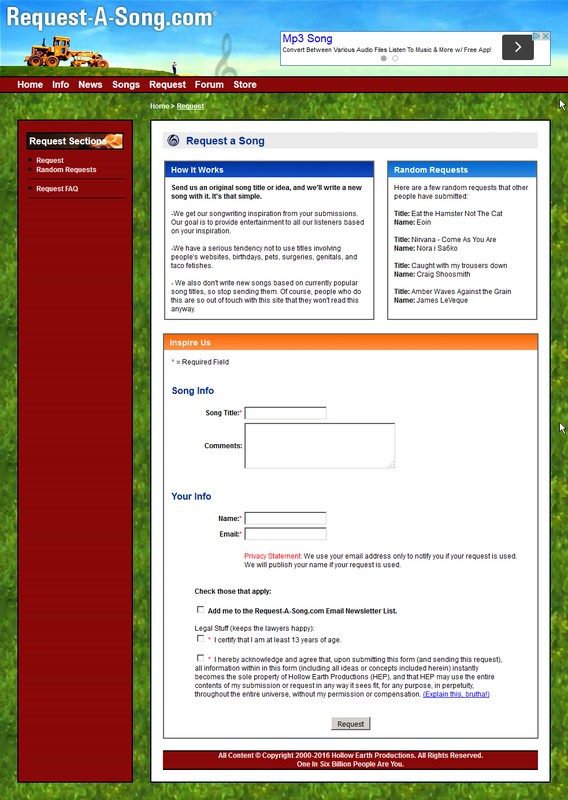 Between October 1, 2002 and December 2005, visitors to this site sent Benj and Jeremy original song titles or ideas via an online form (which is now disabled, but it looked like this). They picked the requests that inspired them most, wrote new songs based on them, recorded them, and put them up on the site for download in MP3 format. They produced over 6 hours of original music using this method that is still available for download on the site. You can also download all 134 song MP3s at once over at The Internet Archive. The band has been on indefinite hiatus since late 2005. 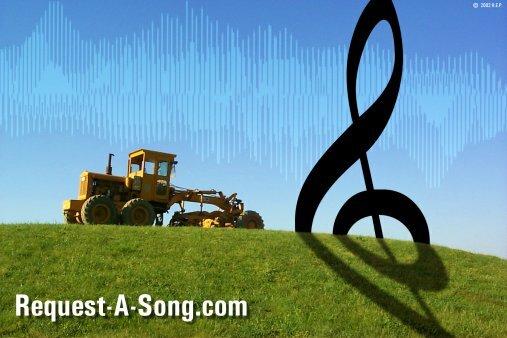 If you'd like to read more about the history of Request-A-Song, check out this post Benj wrote for his blog back in 2012. NEW for 2016: Check out Benj's new music over at Tech Songs and Soundcloud.